Occasional table with crossbanding and inlaid top. One center drawer. Square tapered legs. Antiqued solid brass hardware. 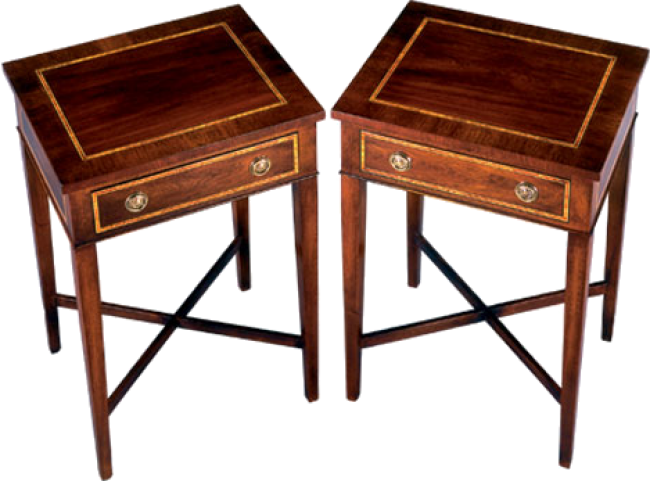 Pictured in Mahogany.